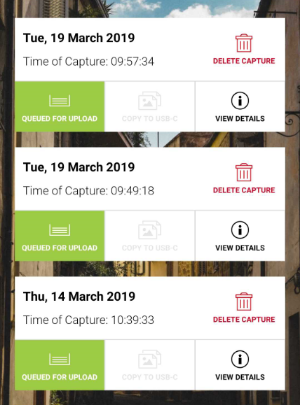 If a user has a Wi-Fi network in range that has been registered for upload with the iSTAR Pulsar device, then moving the mode switch to the Left will commence the upload of all files within the Upload Queue. 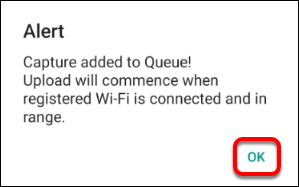 Otherwise a user must register a Wi-Fi network for upload before switching mode, see the next article in this user guide for more details on registering networks. 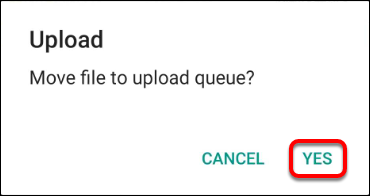 Users may remove a Capture from the Upload Queue by again tapping the "Remove from Queue" button that is revealed.